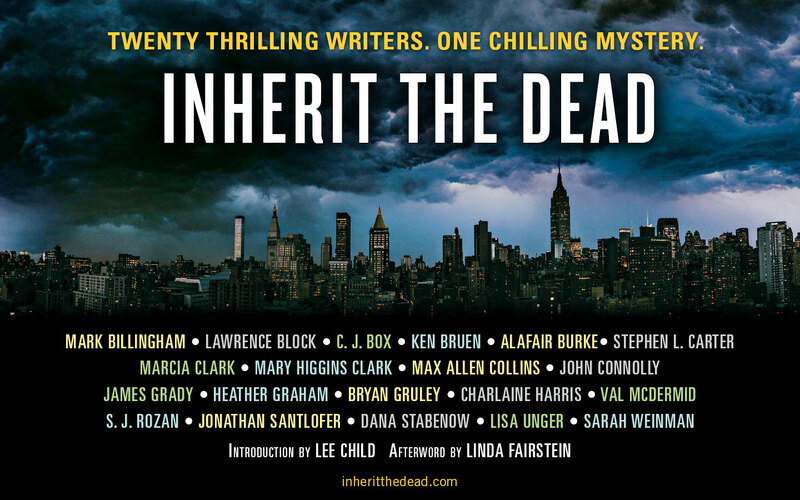 Last week Inherit the Dead hit #15 on the NYT ebook bestseller list, and #18 on the combined e/hardcover list. All due to fans of that amazing assembly of authors lining up to buy the book–I’m still sort of incredulous to see my name there. That, friends, is editor and contributor Jonathan Santlofer’s fine hand at the tiller. He was a joy to work with, and he didn’t even mind me standing the nanny character on her head in my chapter–in fact, he cheered me on. How can you not do your best for an editor like that? And you didn’t think I’d leave out the buy links, did you? Click here to buy on iBooks. Click here to buy on Kobo. Love serial novels! Can’t wait! Ordering. Thanks for publishing hardback! So much easier for these tired old eyes! And, ereaders are great for increasing the text size; but I still like to hold the book! Enjoyed No Rest for the Dead. What’s that sound? Oh, it’s the e version of this book hitting my Kindle Fire. Thanks Dana for letting us know about Inherit the Dead. Perfect day for reading. It’s raining in Wisconsin. Hi Dana-LOVE the sound of, “Inherit the Dead”-but having trouble getting it on my Kindle here in Australia. Maybe soon-?? **Hey-while u r there,any chance of a “print friendly” version of the MAPS (perhaps on your website) which I find so useful when immersing myself in your novels-?? A bit tricky to “decipher” on the Kindke at times. Thanx so much for all the many hours of enjoyment in a world soooo different to this,” wide,brown land” downunder-!! Almost through reading this – on my kindle, because I didn’t see it at the book store. I tend not to notice titles of each chapter, but would realize it was a different author so had to go back to see who was writing the one I was reading. 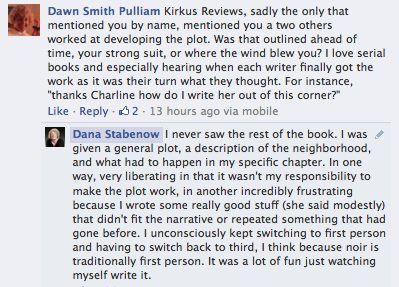 It’s a fun read – thanks for taking part in it.